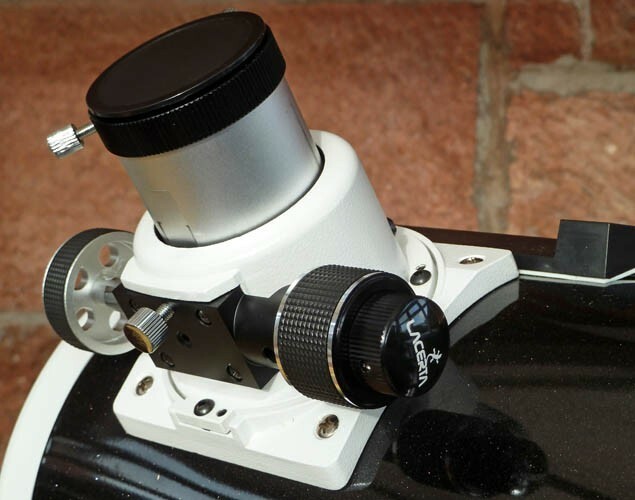 This is a high quality but economical solution to upgrade your Single Speed Skywatcher Crayford Focuser. Compatible with all Dobson and Newton (from 20cm diameter of the main mirror size) and ED-APO single speed Skywatcher Crayford focusers. However if you are not sure, please contact us to check out compatibility. 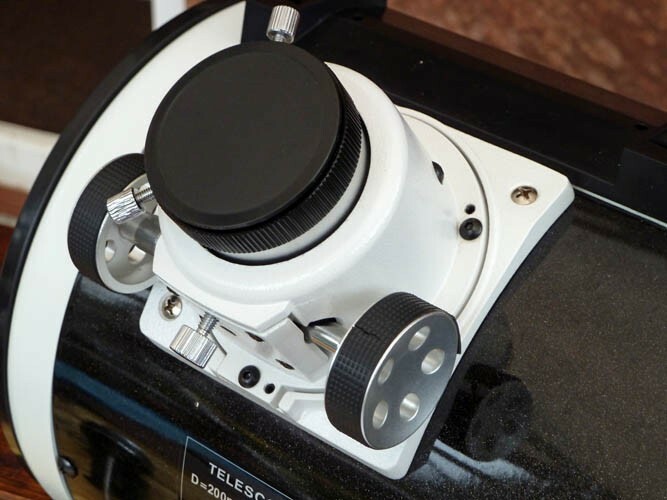 Many of the larger models of SkyWatcher telescopes, such as the ED APO PRO Series, Dobsonians and Newtonians (from 20 cm diameter) have (thanks to a longer distance between the two ball bearings) a very stable Crayford, but without micro-focus unit. 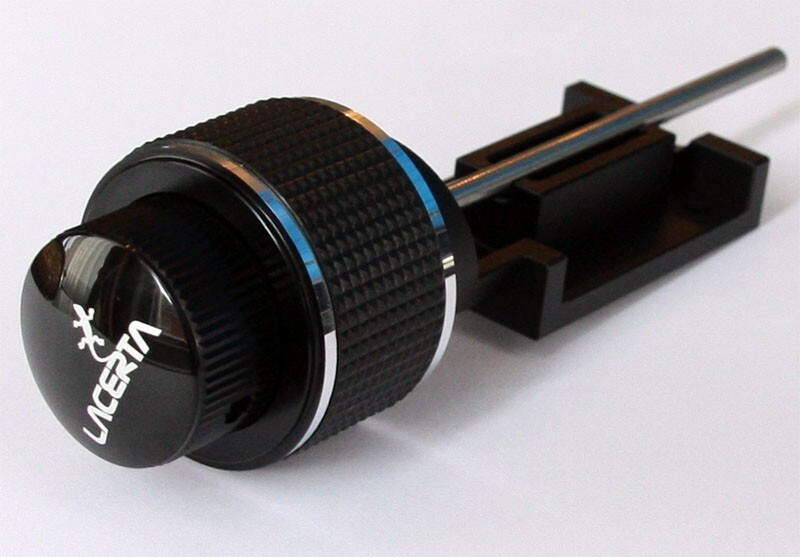 Lacerta have designed a universal Microfocuser, which should fit all previously manufactured SkyWatcher Crayford focusers (ie.focusers without dual-speed micro focuser). - What is so special about this Microfocuser? The micro-focus unit is different from previous upgrade versions. The way earlier versions were designed resulted in uneven course of focusing. We now replace the whole plate of the Crayford-back to a new, which can be adjusted several times: the pressure plate can be tilted and even the axis of the micro-focus unit can be adjusted with the help of four adjustment screws. This results in even travel of the focuser unit. - Why do we need various adjustments for the micro-focus unit? Earlier versions had only two adjustment screws: one for the brake and the other to increase the pressure on the Crayford-axis and thus on the extension tube. If the distance is not set correctly, this pressure can cause a slight bending of the Crayford-axis. Because of this bend rubbing the end of the Crayford-axis and thus runs the focuser not evenly. But if the distance between the Crayford-axis and extension tube can be adjusted sensitively, no bending will occur on the Crayford-axis anymore, even if we increase the pressure on the Crayford-axis and this will result in a dual-speed focuser with fine, stable and precise movement. - How to adjust the micro-focus unit? 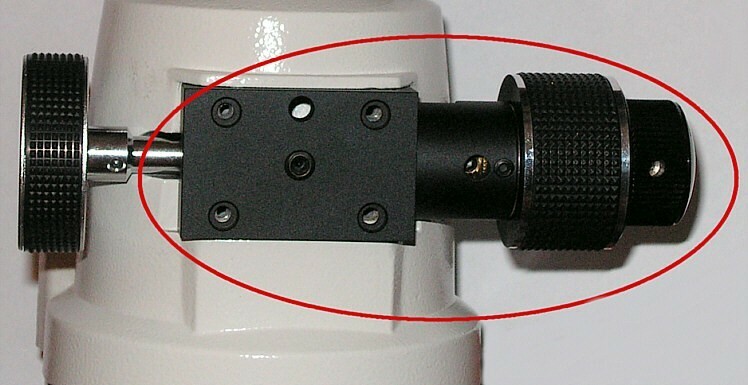 Loosen both adjusting screws and whilst rotating thefocuser/microfocuser, slowly tighten the adjustment screws. A detailed Replacement and Adjustment Instructions with photos of each step will be available soon. 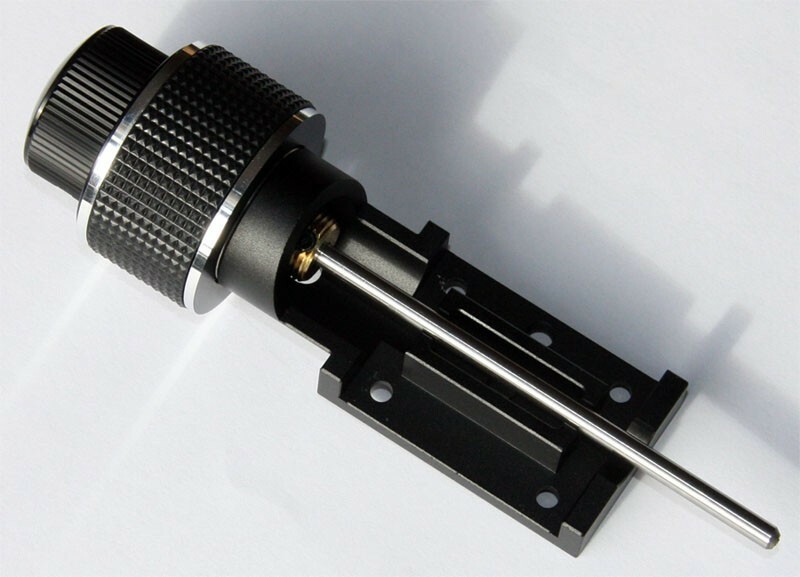 - Can the focuser be upgraded with motorized focus? Thanks to the complete replacement of the holder plate (Crayford-back), the popular motor focus can still be mounted, as the Lacerta 1:10 microfocus unit add no extra thickness like other versions do. - What-axial stability is to be expected from your Crayford after upgrade? A well-adjusted Crayford should hold about 3kg weight in the axial direction without losing focus without additional screw. 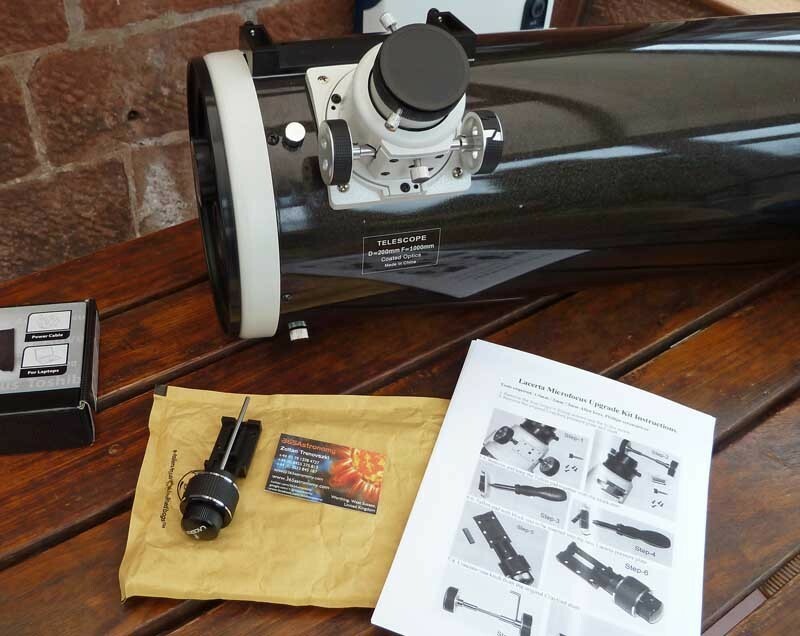 I bought this for my SkyWatcher 8" Dobsonian telescope; US model number S11700. I couldn't find it anywhere on my side of the pond so I ordered it from 365Astronomy, and it showed up in less than 2 weeks. This has to be the best bang for your buck you can add to your SkyWatcher telescope. It's a solid piece of equipment and feels like it could last beyond the life of the telescope. If you have a SkyWatcher with a single speed focuser I highly recommend the Lacerta Dual Speed Microfocuser. Advantages: Smooth Action, Solidly Built, Common Sense Installation. A+ product! Nice easy and smooth operation. Easy to assemble easy to use! No slop or play in the action. I ordered this from 365Astronmy due to the is no product like this state side to buy, unless you buy the whole focuser $$$. Will recommend to anyone whom wants more bang for their buck/quid/euro.. Well worth the little time it took to assemble. Advantages: easy and smooth operation. Easy to assemble easy to use! No slop or play in the action. Disadvantages: Not sold in the USA. but that ok I will recommend 365Astronomy to all of the Newtonian/ Dobsonian folks out there! This upgrade kit works on the Orion XT8 single speed crayford too. I am very pleased with the communication from 365 regarding this and being able to get it shipped to US in just a little over 1 week. Installed just like the pdf shows, very easy and nice smooth action. Advantages: Fits Orion XT8 single speed crayford. Easy installation, no holes to drill, no collimation issues afterward. Disadvantages: None, I am very pleased with the quality. Kind of an anticlimax... I've been mulling over getting a dual speed for my 150P for a while. They're expensive though and being an amateur engineer even considered having a go at making one. I'm only an amateur astronomer, like taking images of planets to the best of my ability and pleased with the results. Focusing on the standard single speed 150P became a limitation to the imaging and a dual speed was on the cards but without breaking the bank. Then I found this product, ordered and delivered. It's well made, feels good and smooth, has a quality feel about it, adds a little mass but not much. When I say "a bit of an anti climax", I was looking forward to an evening tinkering in the garage on my own with my new focuser. Website doesn't say it will fit a 150P so expected maybe mill a little off here and there, turn down some bits .... potentially an evening of fun. Five and half minutes later (including time to find the right allen keys), it's fitted. It fits? Like a glove, silky smooth, with no adjustment, no mucking about or re engineering to make it fit, it just fits? What an excellent piece of kit! It has totally transformed my cheap scope. It will of course be cloudy now for the next six months! Advantages: It fits, It's easy to fit. It transforms the scope. A very reasonable price considering quality of engineering, smoothness etc. Disadvantages: None from my perspective. What a difference this makes to the standard focuser you get with the 200p, the 10:1 micro add-on is a god send, precise focusing is achieved every time, it's a must have add on, and is easy to fit, only takes 10 minutes. 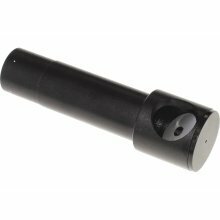 Advantages: Makes focusing very easy and precise, the detail you can achieve is wonderful, and the price is very affordable, and it looks the part too, very well engineered. Disadvantages: I can't find any disadvantages, as it's made my observing much easier and more enjoyable.